That's all from this game. We will meet again on Sunday when Delhi Dynamos FC will host Bengaluru FC at 1930 IST. Till then, take care. 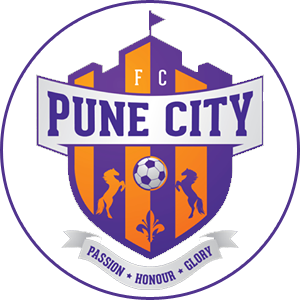 The Club Award goes to FC Pune City as they won the game. The Limitless Player of the Match is awarded to Marcelo Pereira. The Winning Pass of the Match is given to Iain Hume. The Emerging Player of the game is Sahil Panwar and the Hero of the Match is Robin Singh. A crucial game for FC Pune City was finished off by them in a compassionate way. A three-goal lead for the visitors courtesy a double from Robin Singh. One from Ashique Kuruniyan who gots his name on the scoresheet along with Marcelo Pereira and created a four-goal cushion until the 76th minute. Jamshedpur FC found a chance to get some consolation at the end. Courtesy - a penalty conceded by the visitors in the 76th minute which was scored by Carlos Calvo. Jamshedpur FC kept attacking from there but was unsuccessful in making it back that far. FC Pune City bagged all 3 points and kept themselves alive for the semis. The referee ends the play with the blow of his whistle. FC Pune City have won the game and will bag all 3 points. 6 minutes of added time has been signalled. Can we see some miracle from Jamshedpur FC in the ending moments? Jamshedpur FC is desperate in coming back in the game. Sumeet Passi receives a pass inside the box to which he shoots in a hurry towards the far post. The ball though rolls off wide from the far post. 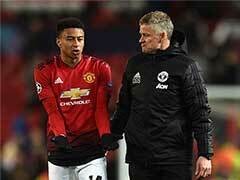 A double substitution for the visitors. Diego Carlos and Robin Singh make their out from the field and Jonathan Vila Nim and Dorjee Tamang make their way in. Jamshedpur FC have got one back. A penalty to find them some consolation. Carlos Calvo is all pumped up as he shoots it in the left bottom corner. The keeper dives right way but fails to stop it. 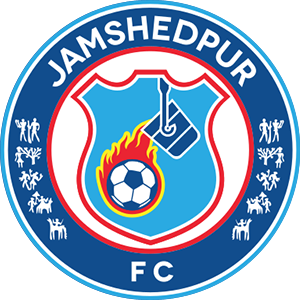 Will Jamshedpur FC make a come back in the game from here? Another one for the visitors. Ashique Kuruniyan gets his name on the scoresheet. Marcelino puts a ball for Ashique Kuruniyan to which he converts with a placement towards the goal. Pune City are now leading the game by four goals. Havoc on the field as one team was asking for a goal kick while other took advantage and scores a goal. FC Pune City have made it three now. Robin Singh scores one more. Ashique Kuruniyan fumbles while controlling the ball on the corner line. Meanwhile, Jamshedpur FC defender's were appealing for a goal kick. Ashique takes advantage of the situation and crosses it to Robin who finishes off things. Sarthak Golui along the left corner shows a brilliant piece of defending. He puts a sliding challenge at first and then blocks off the opposition player from recovering it back. Bikash Jairu comes in for Dhanachandra Singh. Michael Soosairaj replaces Augustin Fernandes on the field. Jamshedpur FC introduces fresh feet to come back in the game. Iain Hume's cross from the left flank was received by Diego Carlos who dribbles it, gets past the defender and fires it on goal. The ball also makes it through to the net. Oh! But Robin Singh was standing very close to the keeper which blocked his vision. The linesman calls it offside. Iain Hume from the left fires it towards the far post. The keeper dives to stop that one but the shot was wide away from the sidebar. FC Pune City have started the second half after leading the first. It has been an astounding first half for FC Pune City. They have made it a two-goal cushion right before the first half. Firstly, a goal from Robin Singh in the 17th minute and then by Marcelo Pereira in the stoppage time have put Jamshedpur FC on the back foot. Jamshedpur got ample of chances during the half. One from Farukh was blocked by the keeper another shot from Mario Arques hit the crossbar. One would say it was not Jamshedpur FC's day. But action remains for the second half to continue. The referee has blown the whistle and brings an end to the first half. FC Pune City have made it a two-goal cushion. Iain Hume puts a long ball for Marcelo Pereira who was on the right wing and racing in towards the box. That ball of Iain created confusion among the Jamshedpur defenders as it reaches to Marcelo. Even the keeper races forward to collect it but fails to do so. Now it's just Marcelo and empty net. He shoots it towards the empty net and makes it a two-goal lead for the FC Pune City. 3 minutes of added time signalled by the officials. An early forced change for Jamshedpur FC. Robin Gurung goes out on the stretcher and Malsawmzuala comes in his place. Robin Gurung again goes down. Previously, a sliding challenge by Marcelo Pereira and now a push by Robin Singh, he is been booked for that challenge. A yellow card for the lad. Marcelo Pereira puts in a curling ball with his left foot. But it is headed out by Tiri. Sergio Cidoncha puts a pretty ball for Farukh Choudhary on the far post. Farukh then runs in the box along with the ball but hits it away from the near post. Adil Khan holds Sergio Cidoncha by his waist. This act was noticed by the referee and Adil was penalised for it. FC Pune City takes the lead. A shot from Diego Carlos from was blocked by the keeper and rebounds towards Iain Hume. Hume though can't convert it and the ball again rebounds this time off the sidebar to Robin Singh who finishes it. Carlos Calvo puts in a ball in the box and finds Mario Arques. Mario looks to finish on first chance and attempts a bicycle from the centre and is penalised as he was around players. A corner from the right is swung to the near post. Mario Arques gets his foot to the ball and directs it towards goal. Marko Stankovic was there and it touched his head and went away from dander. Not elegant but effective. Iain Hume strikes one this time. Diego Carlos crosses in from the right wing.Augustin Fernandes looks to defend but instead loses the ball and Iain Hume fires one on the goal which is blocked by Tiri. Carlos Calvo crosses the ball inside the box from the left flank. Farukh Choudhary is present on the far post to finish off the move but he takes a volley which lobs over the goal. Mario Arques is all warmed up already. He fires one towards goal but it was off target. He took it from outside the box, maybe that's what made it difficult to keep it on target. Jamshedpur FC get us underway for the start of the first half by passing the ball behind. FC Pune City wins the toss and have decided to attack from right to left in the first half. Kamaljit Singh (GK/C), Sarthak Golui, Martin Diaz, Sahil Panwar, Adil Khan, Marko Stankovic, Marcelo Pereira, Diego Carlos, Ashique Kuruniyan, Iain Hume, Robin Singh. Subrata Paul (GK), Tiri (C), Robin Gurung, Dhanachandra Singh, Augustin Fernandes, Mario Arques, Carlos Calvo, Memo, Sergio Cidoncha, Farukh Choudhary, Sumeet Passi. Hello and welcome all to Match 78. This evening, Jamshedpur FC will host FC Pune City in their own backyard. A must-win game for the visitors, as a defeat from here, will see them miss the knockout stage. 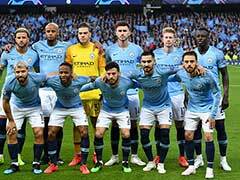 They are unbeaten from their last 4 matches with three wins and a draw. So far Pune's joint longest unbeaten run in ISL. From the last 3 meetings, the home team have never won against the Stallions. But as far as records are concerned, Jamshedpur FC along with Bengaluru FC are the only two teams who have never lost a match at home. 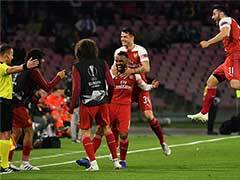 Out of the 16-home league stage matches since last season, 7 have resulted in a victory, with 4 coming in this season alone. So let's not wait any further to see who will be deprived of this victory. Stay tuned with us to see what happens in the match.